When it comes to fighting dirty indoor air, industrial LA Air Duct Cleaning Company. Has what it takes to help everyone breathe easier and feel better in the workplace. We should know. we have been helping companies combat poor air quality for more than 20 years, and making many satisfied customers along the way. 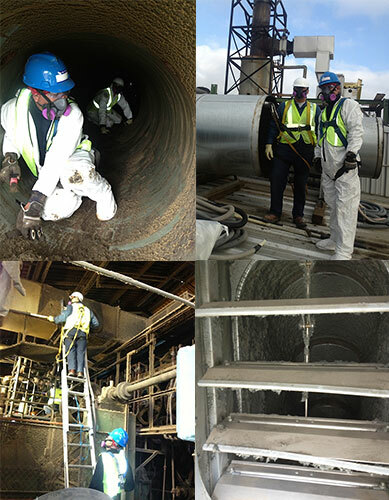 At Industrial L.A. Air Duct Cleaning Company. We employ the finest air duct and HVAC system cleaning professionals in the business. All of them fully trained and equipped with the right tools, chemicals and techniques to do the king of thorough cleaning job that ensures a healthier, more productive, clean air environmental. What’s more, our experts will get the job done with minimal disruption to office facilities, employees and work schedules. Read all about our source removal and air purification process here, which can eliminate dirty air in your building by ridding ducts of mold, dust, bacteria and other contaminants that contribute to indoor air pollution. Coupled with our unparalleled experience as HVAC and Industrial Cleaning specialist, it’s all reason you need to choose Industries LA Air Duct Cleaning., as your clean air source for years of experience.